Dubai-based Leminar Industries is all set to expand its reach throughout the region and beyond, says a top official. 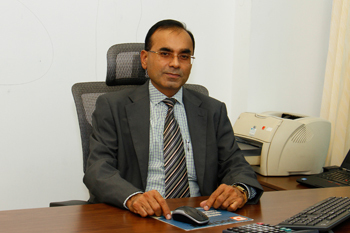 With the opening of its new, $27.2 million state-of-the-art duct manufacturing facility, the largest in the world, Leminar is looking to consolidate itself in current markets, as well as to explore new markets, revealed general manager Dipak Bhadra. Bhadra added that the new facility will be used to manufacture rectangular ducts, spiral round ducts, acoustic attenuators, fire dampers and other duct-related accessories. Currently, Leminar’s largest export markets are Oman and Qatar, while it also operates in Bahrain and has recently commenced sales operations in Kuwait. The company’s next target is Africa, where it is currently exploring opportunities. A member of the Al Shirawi Group of Companies and an ISO 9001:2008 certified company, Leminar is a manufacturing firm which was established in 2000 to meet the growing requirements of the HVAC industry and to provide industrial clients in the Gulf region with professional and reliable materials. 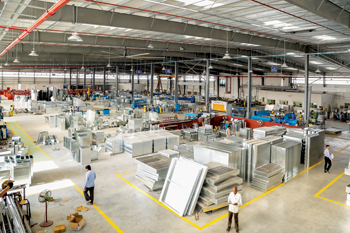 With three offices and manufacturing facilities in the UAE and Qatar, the firm produces sheet metal products, rectangular duct systems, fire-rated duct systems, acoustics products, VAV terminal units, multi-section silencers and other HVAC duct accessories that meet the needs of HVAC contractors. The company is the sole licensee manufacturer of sound attenuators and the complete range of acoustic products from Galloway Acoustics UK as well as of the Galloway Fenland Fire Rated Duct System for the UAE, Oman, Qatar, Bahrain and Kuwait. Leminar also has an agreement with Spiro for spiral round ducts, which are manufactured on dedicated Spiro machines. The most popular product over the past two years has been the fire-rated duct system while the company’s GI/SS/MS ducts and attenuators are also in great demand. In recent years, Leminar Industries has developed and manufactured UL-555 tested and listed curtain type fire dampers in multi-section and single section construction under the Leminar brand. The fire dampers were independently developed by Leminar and successfully tested by UL. “Leminar Air Conditioning Industries develops innovative products to meet the evolving needs of the ducting industry. We introduced a revolution in the duct industry in the GCC by commissioning a one-of-a-kind CGF-1 duct machine for the manufacture of GI ducts with integral flanges, which meets J6 ratings as per Smacna and DW/144 standards, which is the highest standard in the duct industry to measure the quality of ductwork manufacture and installation,” Bhadra said. “Our new CGF-1 ducts have been designed to improve indoor air quality (IAQ), have low leakage rating, offer better energy efficiency, contribute to environmentally-friendly construction, offer durability, less load on structure and positively impact overall productivity,” he added. In the UAE, Leminar recently supplied ducts for Dubai Airport Concourse 2, Al Maktoum International Airport and Dubai Sports City Cricket Stadium. It supplied fire-rated ducts for the Dubai World Trade Centre and Dubai Festival City. The company supplied silencers, acoustic louvres, acoustic enclosures, acoustic screens and spiral ducts for Muscat and Salalah international airports and fire-rated ducts and silencers for the Royal Opera House and Oman Convention and Exhibition Centre (both in Muscat). The company has also supplied products for the National Museum of Qatar as well as for Khalifa International Stadium in Doha. Despite the downturn, Leminar managed to pull off 24 per cent growth in sales in 2015 compared to 2014. The company has also increased its production capacity and production shifts as a result of the growing demand for its products. “One reason for our success is the fact that we have all the manufacturing expertise and in-house resources to cater to specialised and large-scale requirements in the region,” Bhadra said.